Azerbaijani Junior and Youth Qualifying Teams returned from the 28th karate Croatian Grand Prix having achieved great results. National athletes have won 10 medals in Samobor city, where 1,621 karate fighters from 23 countries participated in the Grand Prix. Azerbaijani sportsmen brought their country four gold, one silver and five bronze medals. Roman Heydarov (kata) became the winner of competitions among juniors and adults aged 18-20. Another participant of the Kata Tournament, Ceyhun Ismayilov, climbed to the first place among young people aged 16-17. 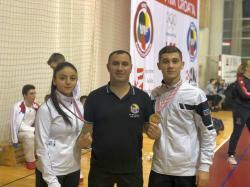 In kumite tournament, Huseyn Mammadli (14-15 years old teens - 57 kg) won gold medal, Murad Hajizade (18-20 years old, +84 kg) took silver, Fidan Dadashova (14-15 years old, -47 kg), 16-18 Medina Sadikhova (-48 kg), Tural Yagubov (-68 kg), Museyib Mammadov (-60 kg) and Emil Gulahmedov (-84 kg) grabbed bronze medals. Azerbaijani karatekas are waiting for the European Championships in Aalborg, Denmark, set to be held on February 8-10. As part of this preparation, low-level eligible teams participating in the Croatian Grand Prix will continue their training two days later. 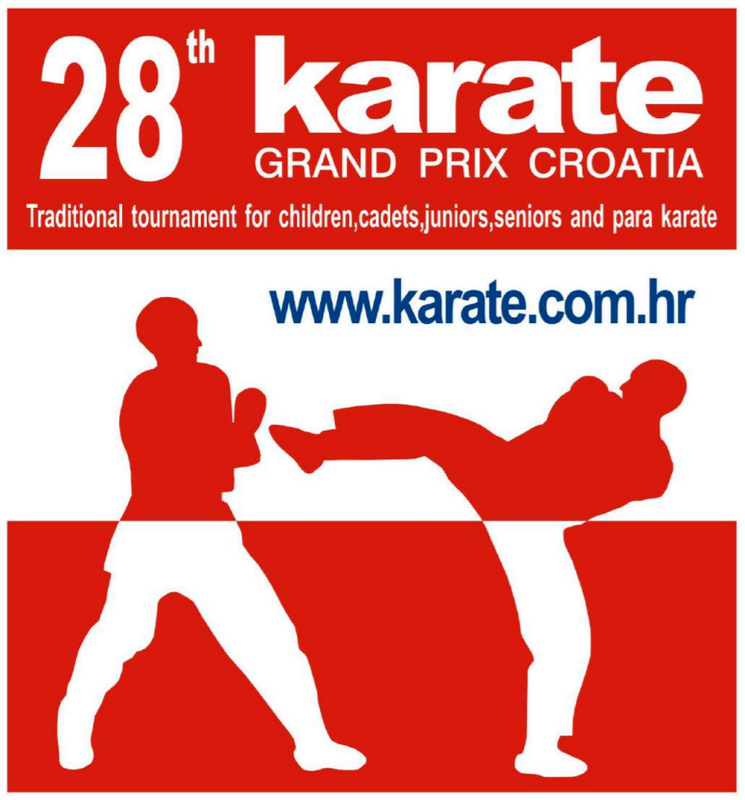 The 28th Grand Prix Croatia international tournament was held from January 11 to January 13 in the City Sport Hall, Samobor city. The National Karate Federation of Azerbaijan was established in 1994. Since 1997, the National Federation became a full member of WKF (World Karate Federation), the world's largest karate organization that unites more than 50 million members of the 180 countries of the world. WKF is the only Karate Federation recognized by the International Olympic Committee (IOC) (the 109th session of the IOC's March 17, 1999). Its purpose is to combine all the styles and directions of karate to participate in the Olympic program under common racing rules. 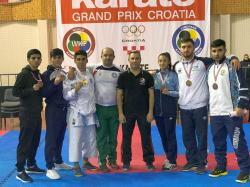 The Azerbaijani national karate team is one of the strongest teams in Europe and the world. Over the years, national karatekas have repeatedly represented their country in international tournaments, European and World championships. Currently, there are real karate stars in the national team: many times World and European champion, winner of World Games, European Games, Islamic Games Rafael Aghayev, World champion Israfil Shirinov, Ayxan Mamayev, European champions Parviz Abdulkerimov, Jeyhun Aghasiev, Rustam Madadov, Ildirimzade and Niyazi Aliyev, bronze prize-winner of the European Championship Amal Atayev, Yusif Jafarov, Shahin Atamov, Rashad Huseynov etc.